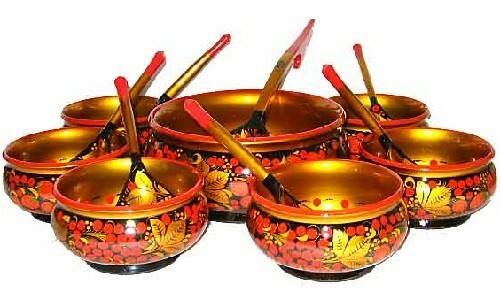 Golden Khokhloma is a brightest phenomenon of Russian folk arts. 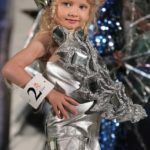 The technique of gilding without using real gold is amazing, the unsurpassed work of jewelers and skullful needlewomen fascinate people. 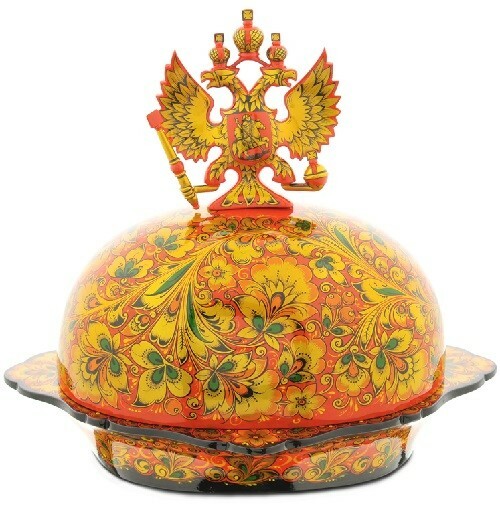 Traditionally Khokhloma pieces were produced in the monasteries and were designed primarily for the Tsar court. 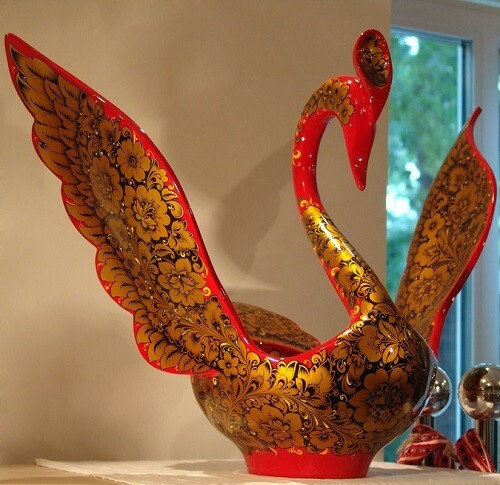 When the highly glazed pottery and metalware was marketed, the unusual painting of items from Semyonov guaranteed their popularity and sales. 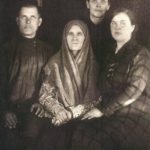 It must be mentioned that Khokhloma was the name of a large village in former Semenovsky district on the bank of the Volga river in Central Russia. This village Khokhloma was the centre of trade. Craftsmen from nearby villages brought their handicraft wares for sale. 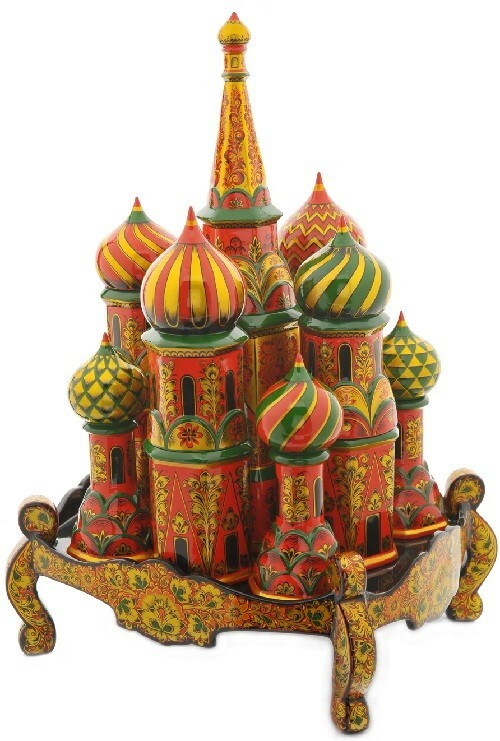 Merchants from many places went there to buy goods, then they sold them all over Russia and abroad. That was why people started to associate painted dishes with the name of the village. 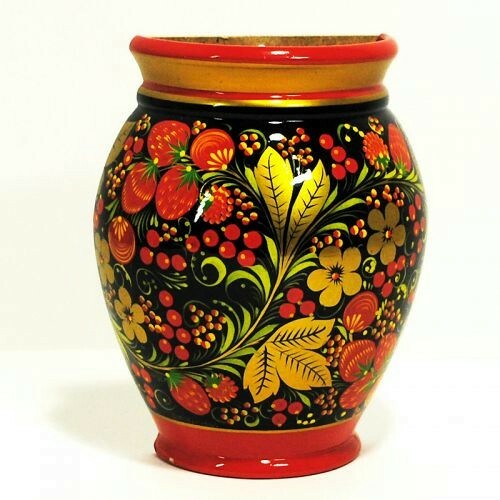 The Khokhloma handicraft became known as early as the 17th century in Nizhegorodsky region. 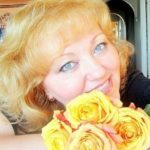 Nizhny Novgorod Zavoljie – the centre of Khokhloma painting – is a region of rich history and outstanding culture. 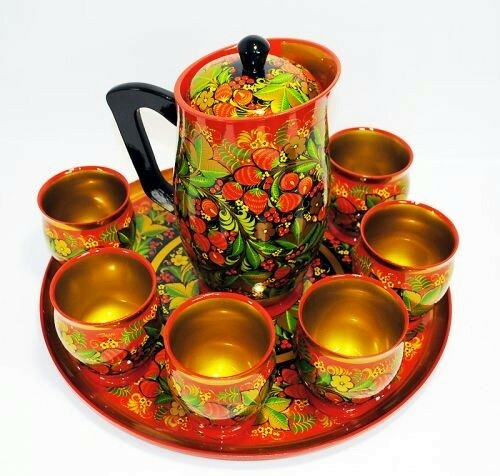 No other territory in Russia could equal it in the number and originality of the folk arts and crafts that had sprung to life and were developed in the local communities. 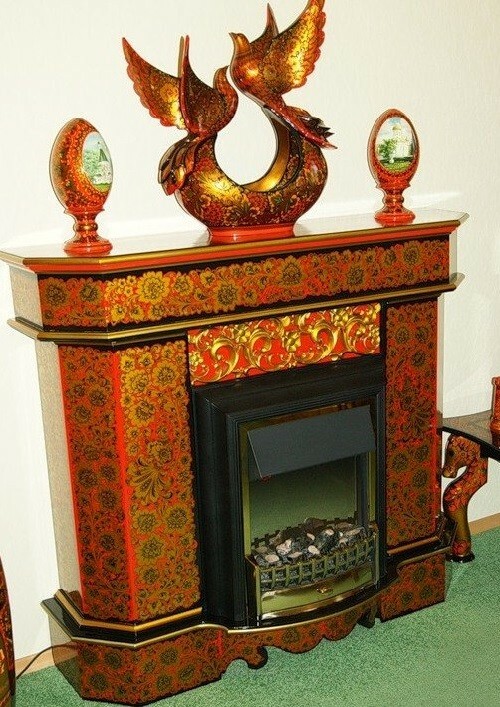 The masters of Nizhny Novgorod wood manufacture made spacious houses, decorated them with wood carving, made distaffs and wooden tableware. 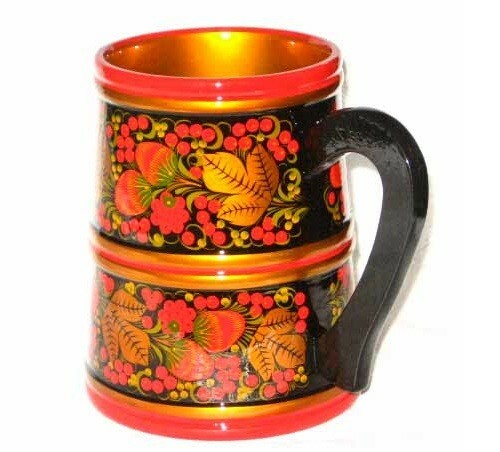 They developed their skills further on and their mastery obviously influenced the appearance of Khokhloma as a trend in folk art. In those times, valuable works of art were made and kept in monasteries. 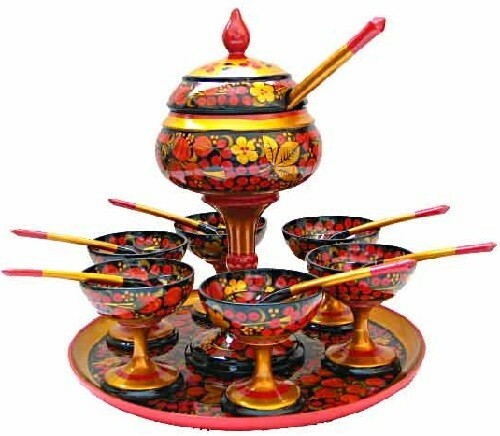 The Khokhloma painted pieces are made in the following way: first of all wood is aired for a year; then a turner makes pieces of different shapes, after the shaped pieces have been dried in the kiln, a thin layer of brown clay ‘primer’ is applied by hand and they are kiln dried again, after three coats of oil are applied each item is air dried again, then is covered by tin or aluminum powder, then is painted and lacquered. When the tinning process finished, and the items kiln dried for a third time, these shiny, silvery works are ready for the artist’s hand. 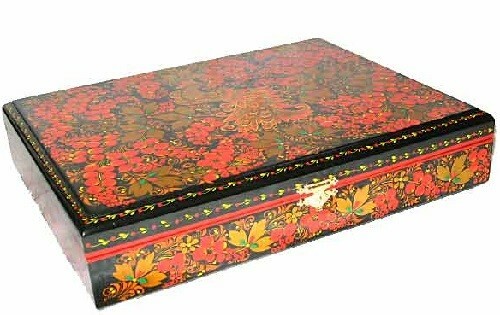 Khokhloma painting amazes with its delicate grass pattern and festive coloring, which is based on a combination of scarlet, cinnabar and gold against the black lacquer background. This is a feature only found in Khokhloma. 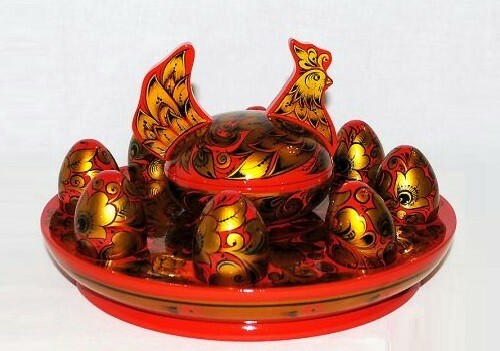 Masters traditionally used tin powder and lacquer to obtain such a rich gold color. (Today they use aluminium powder). 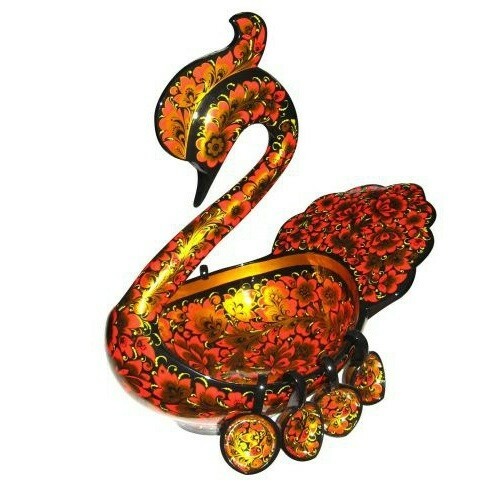 Each silver piece is painted by hand, without any initial sketching, insuring that every one is a unique work of art. The magic of golden Khokhloma is in the final step. 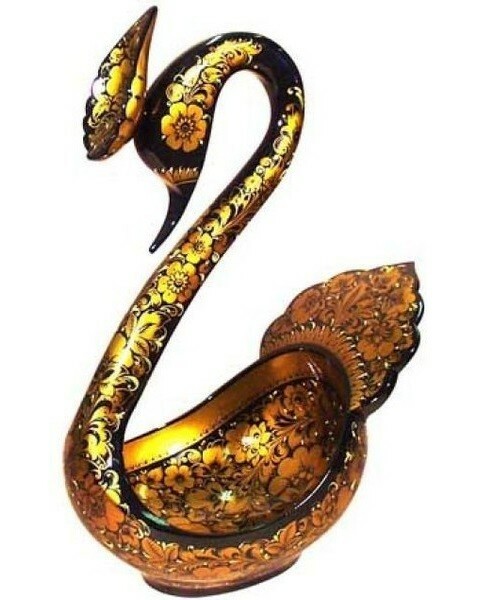 When the lacquer coating is applied, any of the ornament that the artist has left silver turns into a beautiful “Gilt” illusion. Every piece takes approximately 58 days to make, and some up to four months. 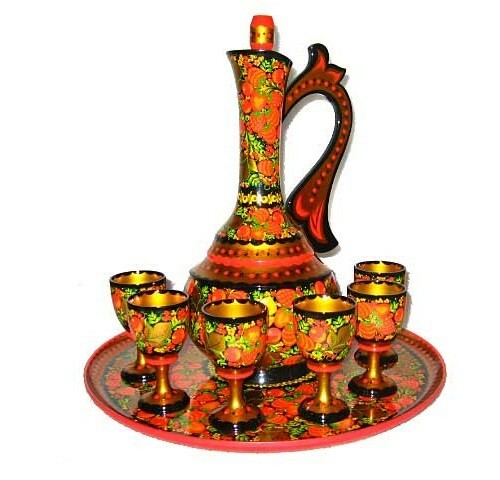 In the second and third decades of the 19th century Khokhloma craftsmen made several innovations. 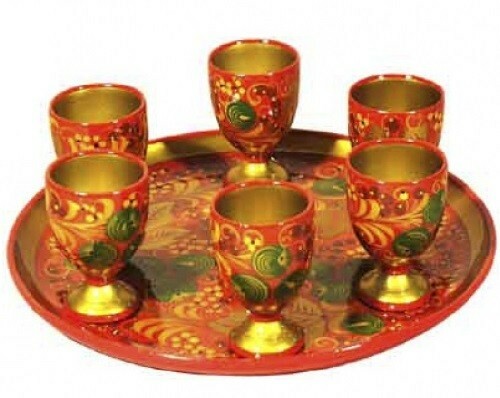 They started to gild not only parts but the whole surface and covered their bowls and cups with intricate glass painting. 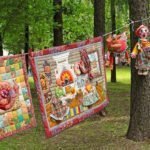 These improvements brought greater success to this folk craft. Khokhloma painting is a magical process whereby ordinary white wood acquires the beauty and brightness of gilding. 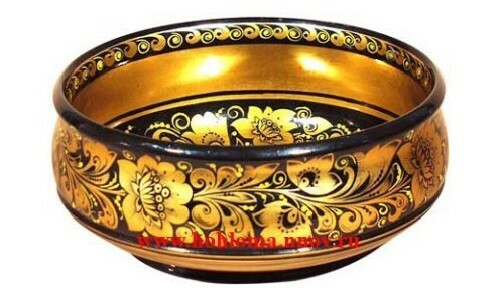 The origin of methods of painting woodenware in a distinctive gold color, without using gold itself, is still a special secret. 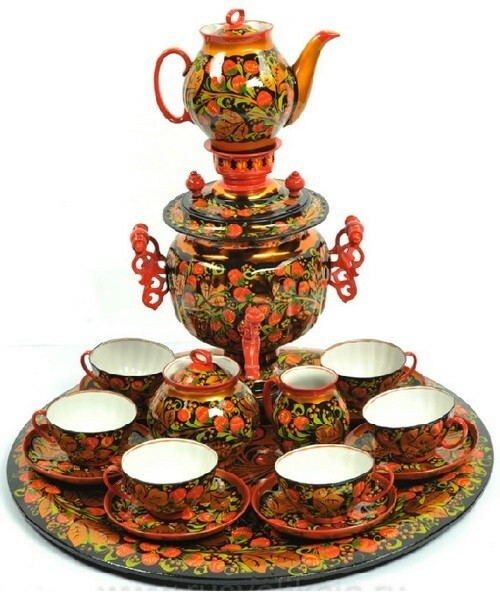 Khokhloma products have maintained a 300-year old tradition of unique decoration techniques that at the same time makes them highly practical. It’s hard to believe, but Khokhloma woodenware kitchen utensils are waterproof, heat resistant and unaffected by food acids. 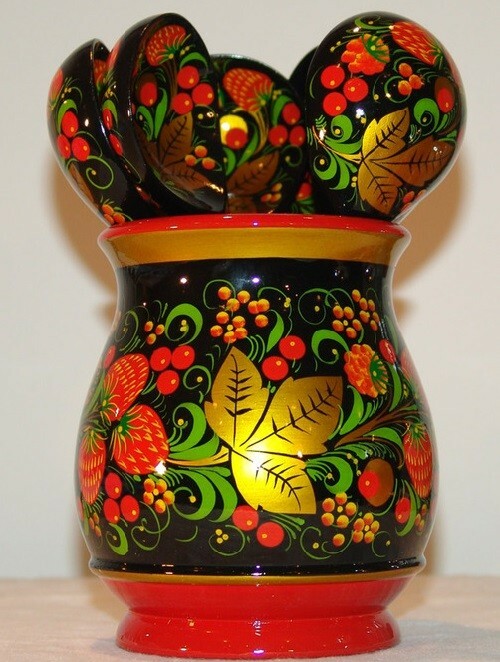 Khokhloma folk craft is constantly growing and developing. Adopting the best traditions, one generation changed another, and gifted youth flows into the rows of honored masters like tiny brooks into a big river. 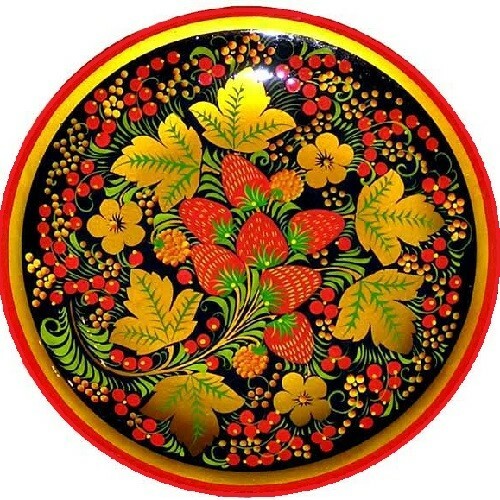 The ornament has become more diverse, merry and rich, refreshed by fantastic decorative pictures of berries and flowers from forests along the left bank of the Volga river, fruit, birds and animals. 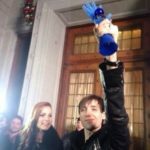 A search for new shapes and ornaments and ornaments is going on, and we will be able witness new discoveries and success.